The cloud computing is the need of the hour! It is not only helpful in effective cost saving services to the clientele but also fulfills the ever increasing demands of the Internet knowledge workforce. If you had not come across the trusted cloud computing till date then it is the right time to get benefited with the same. Ardent’s approach towards service-based cloud computing. After understanding the challenges in front of our clients, we start exploring the opportunities accessible in the market with the help of our dynamic skills and collaborative work atmosphere. There are different types of cloud atmosphere accessible with us including public, private and hybrid cloud. 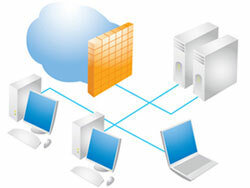 The services will be rendered as per the requirement of the cloud environment. Our strong network across the globe will always make your computing needs fast and convenient. The flexibility and the resourceful approach in all the services makes us proficient enough to deliver fully customized solutions to our clients. A reach for the best cloud computing services at the most affordable prices. The computing services and the platforms fully dependent on the open standards. The top level safety and security in all the development processes and the delivery centers to confirm top notch outcomes with no compromise at all. So for the reliable cloud computing needs, you need not to hesitate to get benefited with the sublime services simply accessible with us.